Have you ever tried to herd cats ? That is what today was like ! Have you ever went down the toy aisle at the local goodwill after children have been let loose to play ? That is what today was like ! Oh Monday ! But the good news is we all made it through the day and still got a lot accomplished. With the exception of eight children’s cutting samples I completed our Dial 3 developmental assessments ! WOOT !! Ms Dallas introduced the block center outside. Blocks are great open ended materials . Open ended means the child can use them any way they choose there isn’t an intended process or product like you would have in say a puzzle or a game. 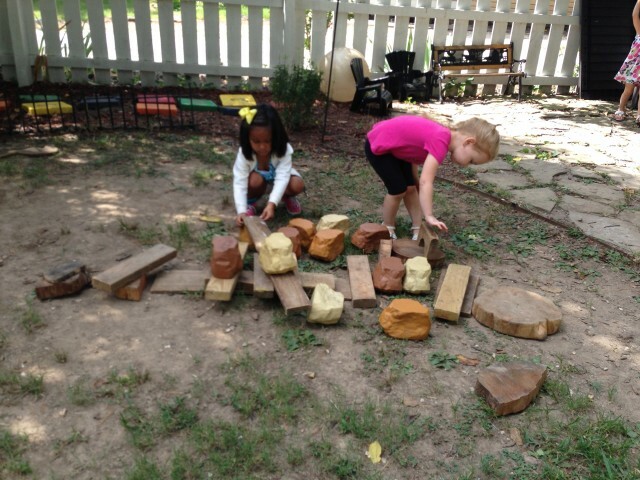 Blocks promote problem solving . The blocks outside are larger then the inside blocks so they also help build those strong muscles we need to run and climb. Today we introduced our school family jobs. Each child was allowed to choose how he or she would like to contribute to our school family. In a later blog I will list the jobs we have and what all it entails. You can see on your child’s cubby at pickup which job they chose to do. Voice levels – I visited Northside one year and noticed in the lunchroom they were using a numbered voice level system. We adapted and use a numbered system too as a reminder here. Its pretty simple of you want to try to use it at home as well. We encourage level 2 voices inside. The kids LOVE practicing , especially the level 4 voices. We may have the opposite ideas of what a classroom should sound like. Quiet classrooms do not mean that young children are learning. 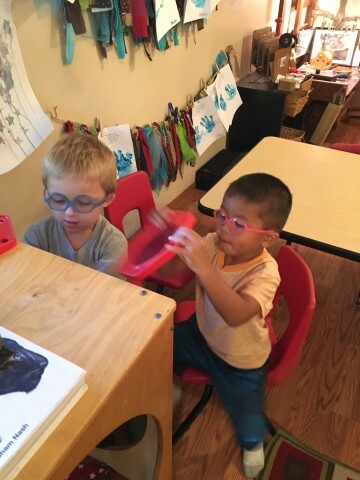 In fact, since language is so very important during the early years , quiet classrooms may indicate that young children are NOT learning all they could be. Talking gives the child the opportunity to experiment with new words. It provides the vehicle for expressing ideas and testing current knowledge. Shared experiences are important ; they give the children something to talk about. 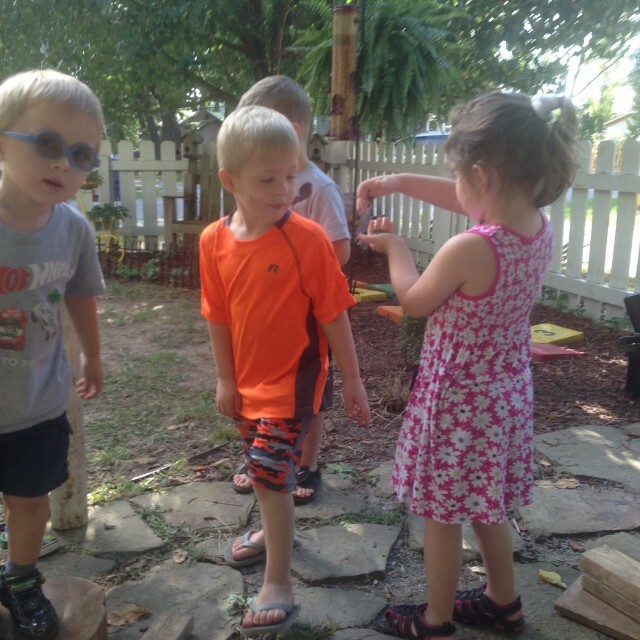 Children learn the nuances of communication in groups by trying out their language skills. For example , they learn what a question sounds like and how loud is loud enough . Using words and talking about how things work, making comparisons, and retelling experiences lead to increased intellectual development . 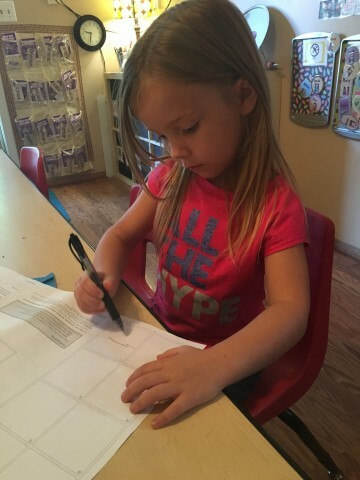 When children reconstruct experiences sequence events, point out similarities and differences, they are clearly engaging in higher level thinking skills. And when kids are encouraged to ask questions , they not only gain information from adults responses but also build their competence – and confidence – as active seekers of knowledge and understanding. The vocabularies children use in reading and writing are based on the words they are familiar with from listening and speaking . But expanded vocabularies and other aspects of language growth occur thourhg using language . Talking in the classroom may be a little noisy, but positive results can be easily found. Quiet does not mean learning. DIAL THREE’s ARE COMPLETE! BOO YAH!